Feel free to come to any of these advertised events and to call the Church office at 443-2099 if you have any questions, suggestions, or would like to study with Fr Laurent. Fr. David Anderson will present a series of lectures at St. Joseph Church in Fortuna beginning on Monday, September 21 from 7 to 9 p.m. and continuing for 6 weeks. Fr. 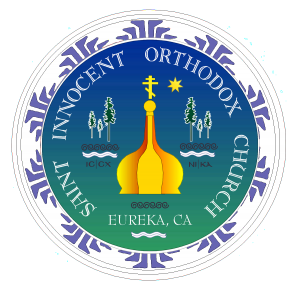 David is a Catholic Priest of the Byzantine Rite and is currently Pastor of St. Peter Eastern Catholic Church in Ukiah. Fr. David is a very interesting, knowledgeable and entertaining speaker. His topic will be The Early Liturgy—learning about how the liturgy that is the core of our Catholic lives took shape. The lectures will be held in the Parish Activity Center at 2292 Newburg Rd. A donation of $20 per person is suggested, but not required. Please come spend an evening with us and deepen your knowledge of our faith. For more information, please call the Parish Office at 725-1148.